These examples show a concept for billboard ads and a discount voucher for the Hans Brinker Budget Hotel. They are in line with Hans Brinker’s previous ads in terms of style and tone of voice, which actually is the opposite of normal advertising. The Billboard ads are inspired by one of Hans Brinker‘s previous campaigns that show the „unique design“ of their interior. 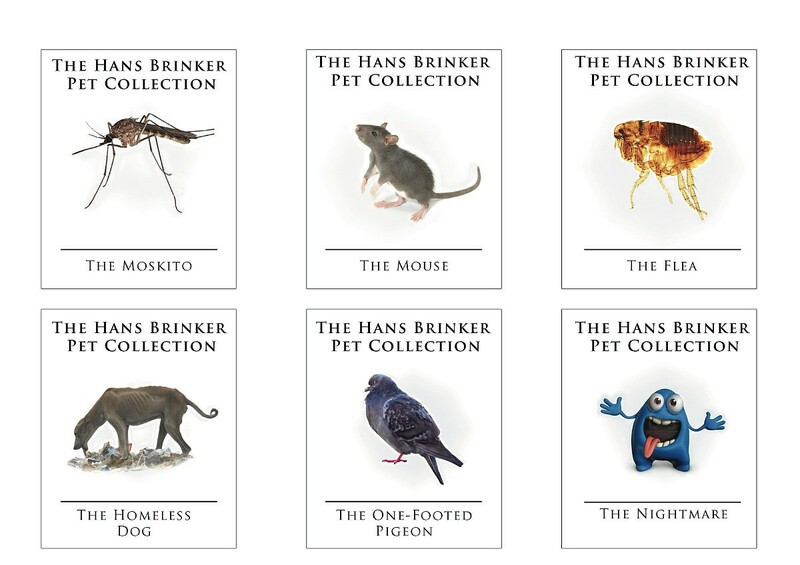 I chose to show a collection of their „pets“ instead, that actually all are unwanted guests. 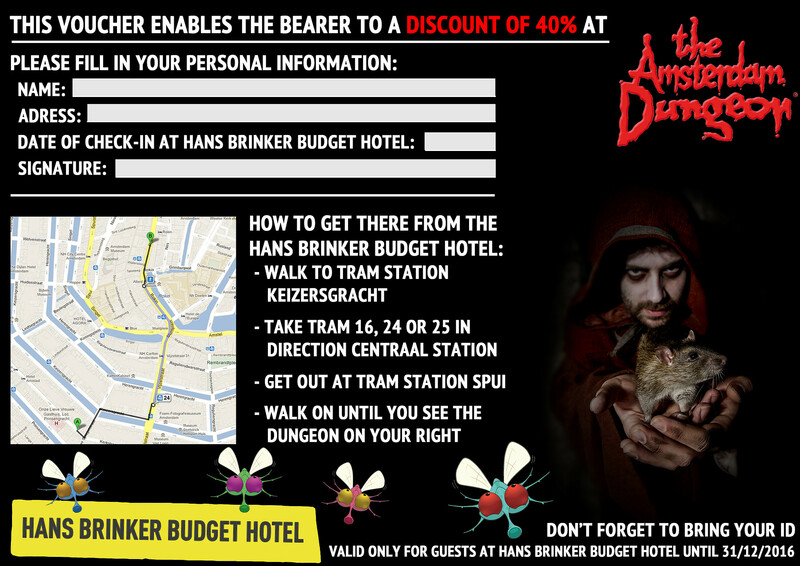 The discount voucher for the Amsterdam Dungeon takes this idea one step further by telling the customer that if they can handle Hans Brinker‘s pets, they‘re ready for the Amsterdam Dungeons for which they get a 40% discount. 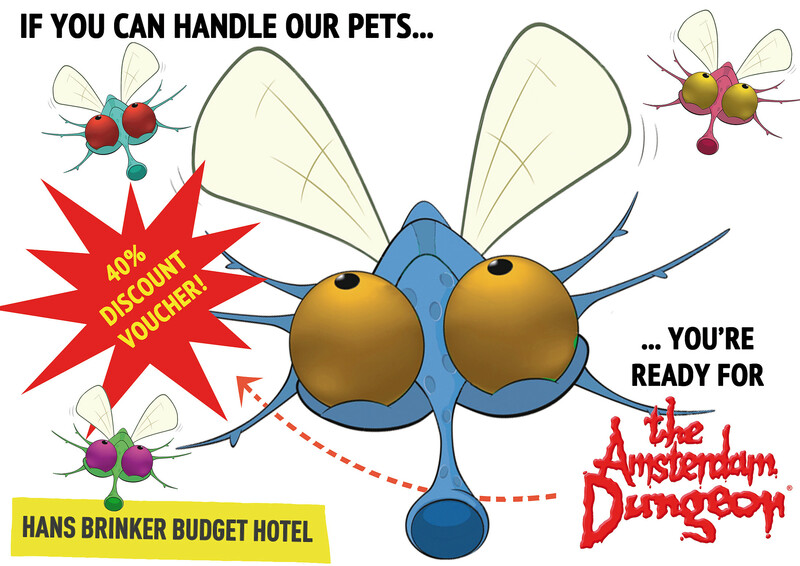 To keep the style simple and not too crowded, I chose to only show one of their „pets“ on this voucher, the mosquito. You can see the bright front side and the dark back side of the voucher.